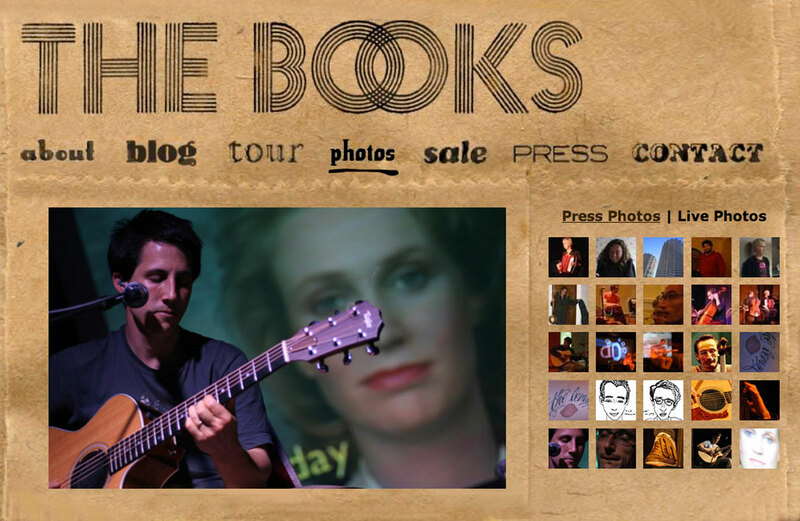 One of our earliest and most massive web sites was a collaboration with Nick Zammuto and Paul de Jong, the founding members of electronic-folk group, The Books. The web site was designed to match the band’s collage-style music, incorporating dozens of interactive, animated pages, unpredictable exploratory environments, and, of course, easy access to tour dates, news updates, and merchandise. The Books were a critically acclaimed band based in Vermont, whose intricately edited music often featured spoken word samples in place of, or in addition to, sung lyrics. That common trait, alongside the strange and beautiful combinations of digitally altered acoustic instruments, made them one of the most unique bands of the past decade. Their albums, Thought for Food and The Lemon of Pink landed on Pitchfork Media’s top albums of the year lists in 2002 and 2004.